Our Naturopath, Deb Nye-chart, is available for consultations for horses on Wednesdays or Fridays. The consultations can be scheduled either at Mt Barker Veterinary Hospital or a home visit can be arranged. We provide a unique combination of natural therapies and upto date modern Veterinary medicine, providing the very best outcomes for our equine friends. Treatments may be based solely on herbals (either in dried or liquid form) or incorporate nutritional therapy, Australian Bush Flowers, dietary advice and homeopathy. Natural remedies are an individualised form of treatment and prescriptions are customised for each individual. 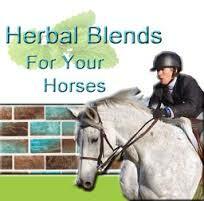 Horses seems to respond exceptionally well to herbs and seem to enjoy the taste of most of the dried herbs. Most horses love the taste of Chamomile flowers.